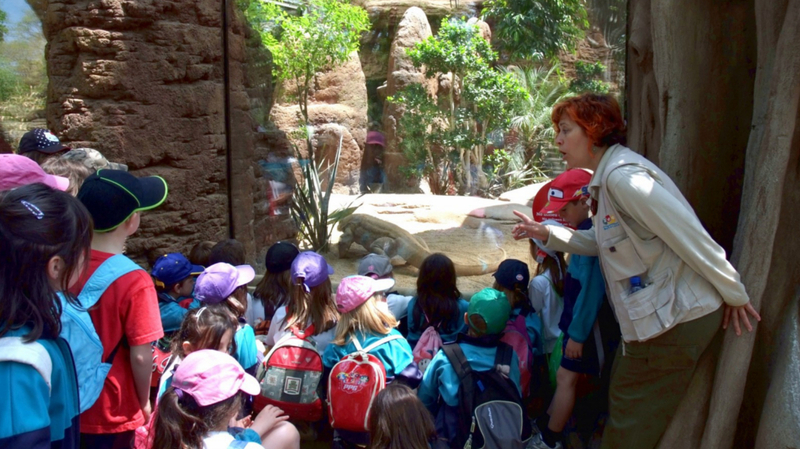 We at the Barcelona Zoo have designed a special series of materials and activities for boys and girls in the first cycle of primary school. Children can learn many more characteristics and gain an in-depth understanding of Zoo animals using these resources. To boost students’ awareness about owning pets. The objective of this workshop is to learn to differentiate wild animals from domestic ones and to know their general characteristics and how they coexist with man. This workshop is done to the size of the students, since they are they same those that choose the animal or the animals that want to work. This activity lets students learn about the principal characteristics of the five groups of vertebrates.